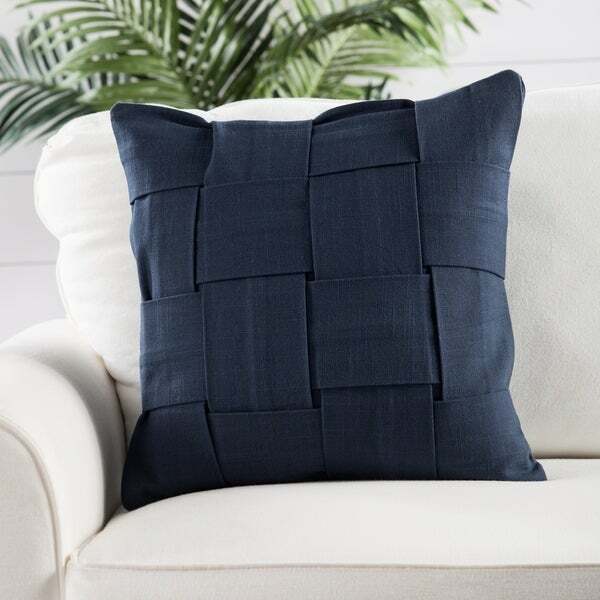 Add a touch of comforting color and texture to your decor with this handmade throw pillow. 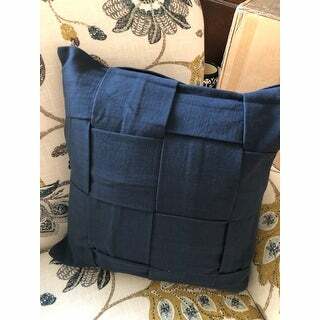 The woven design of this deep blue pillow brings a rich and inviting warmth to your sofa or chair. Dimensions 18.0 In. X 18.0 In. X 6.0 In. Very satisfied with this pillow. 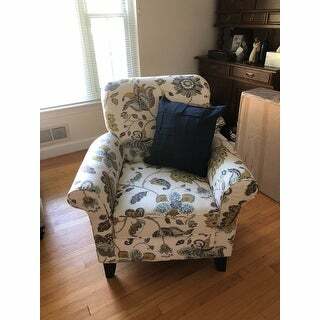 It provides the color pop I was looking for in our over sized chair. Quality is great. The fact it has zipper to remove the cover for washing is just an added bonus. No dislikes here. Love the woven pattern of this pillow. The texture is great without bring in too much pattern. The cotton is soft and the pillow is removable. I love this pillow. It is well made and the fabric is soft. It goes perfectly with my floral chair. The pillow is not crazy overstuffed but I am very happy with my purchase! Great dark navy color and the workmanship is excellent. Fabric strips are woven and add texture in a simple style. "DOES THIS PILLOW COME IN A LUMBAR?" I apologize, but this only available in this size only.